I'm NOT Lovin' It: "McDonalds Brows' Are The Latest Trend To Ruin Our Eyebrows! 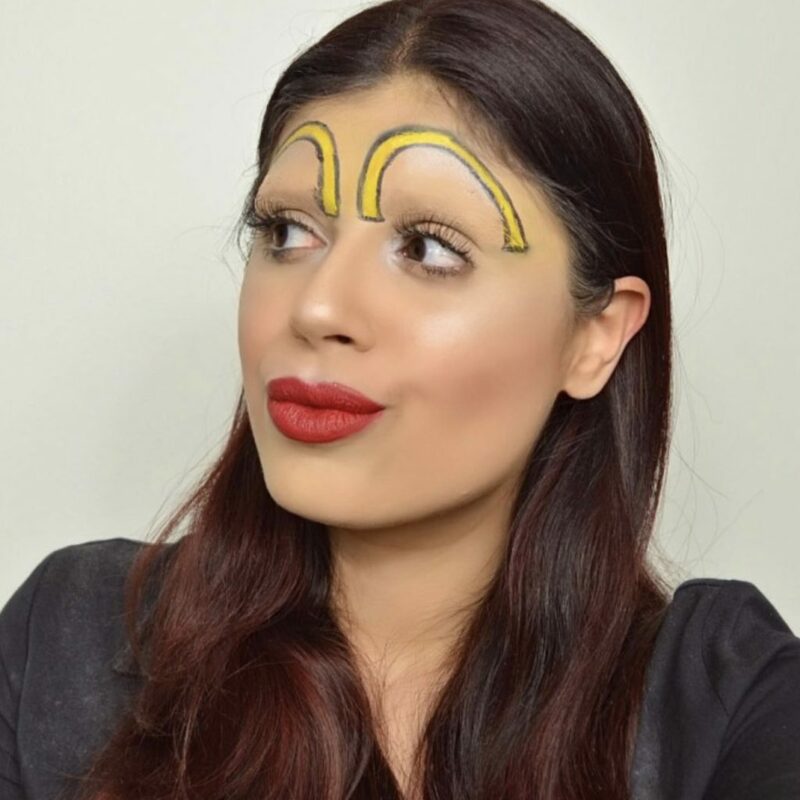 I’m NOT Lovin’ It: “McDonalds Brows’ Are The Latest Trend To Ruin Our Eyebrows! 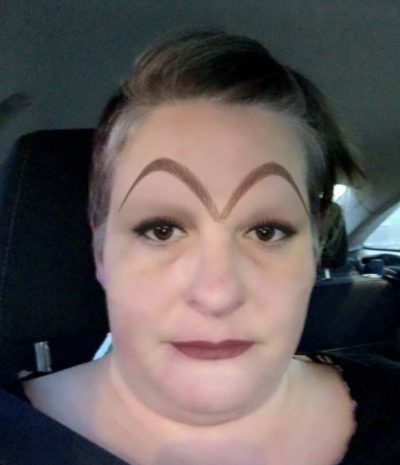 In recent years, the eyebrow has been going through some pretty rough times! In fact, it hasn’t a break from the abuse for so long, it’s almost about to call it a day! This does seem to have started out as just a joke. Instagram beauty blogger Huda Kattan is demon creator behind them, and in her how-to video it’s pretty clear she’s just larking around with the idea. BUT, as you will soon see in the following damning pictures….a lot of people didn’t get that memo! These don’t look too bad, I suppose! 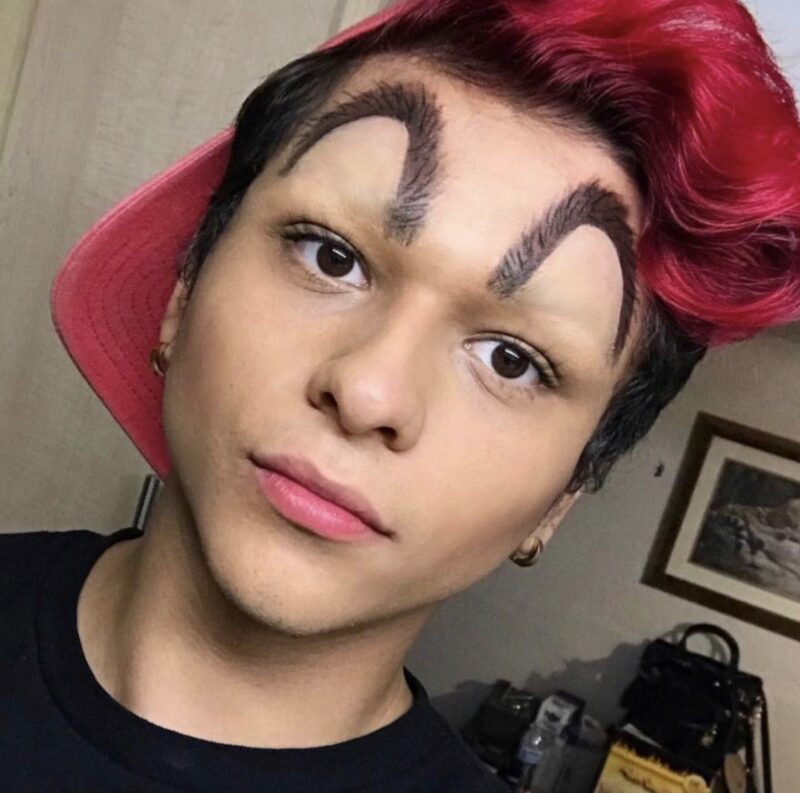 I just pray to god that she didn’t actually shave her own eyebrows off especially for this! It’s just not worth the sacrifce (or a potential free meal out of McDonalds), hun! 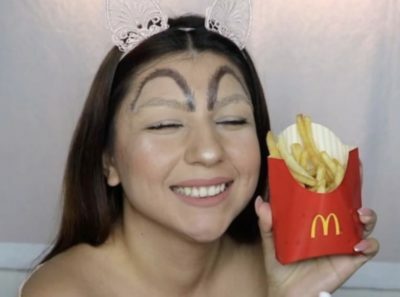 Well, she may not have sacrifced her own brows for this abomination, but the double eyebrow’ed look is never a good one, especially when they look like furry spiders legs for crying out loud! This person already looks like they greatly regret their decision! Well, you know that they say, you play with fire, you get burnt, girl! & You can’t play with fire much more heavily than dabbling with this sh*t! You know it’s not good when you’re already at the ‘JUST WHY! ?’ point so early on…I know I am! It’s a good thing he’s cute or else I’d be telephoning the fashion police right now!